When the first pitch of the 2017 Under Armour All-America Game is thrown on July 29th, it will mark the 10th time that the best amateur baseball players have gathered to participate in this prestigious event at Wrigley Field. This year’s group is an extremely talented bunch, and should produce some memorable moments, as the last nine years have. In looking back, this great event has given us some remarkable individual performances. The 2009 game immediately comes to mind, as we saw perhaps the most dominant pitching and position player performance in the history of the event. 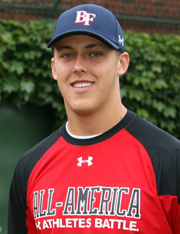 Current Pittsburgh Pirates pitcher, Jameson Taillon, was the National team starting pitcher and blew three hitters away. 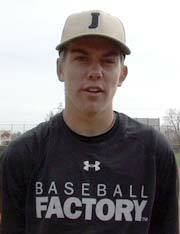 He struck out the side while touching 95 mph and showing a devastating breaking ball. That same year, current Detroit Tigers 3B, Nick Castellanos, went 4-for-4 with four doubles after winning the pre-game Home Run Derby for the American squad. While those players stood out in year two of the event, the inaugural year had outstanding depth. To date fifteen of those players have made it the Major Leagues, and they flashed that ability back in 2008 as rising high school seniors. 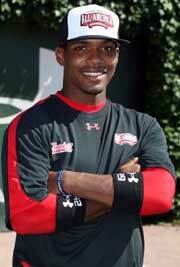 One of the game MVPs was current Orioles RHP, Mychal Givens. A two-way player at the time, Givens the shortstop had two hits for the American squad, while as a right-handed pitcher, struck out two hitters and touched 96 mph on the mound. Astros catcher, Max Stassi, also impressed with three hits in the game for the American team, as did “true baseball players” Scooter Gennett (National team) and Nick Franklin (American team) while first round picks Zack Wheeler (American) and Jacob Turner (National) were excellent on the mound. Brandon Nimmo stole the show in 2010. Hailing from Cheyenne, Wyoming where there is no high school baseball, Nimmo had two hits at Wrigley garnering MVP honors for the American team. The following June, he was a first round selection of the Mets in the MLB Draft, and he currently patrols the outfield at Citi Field. Current Astros RHP, Lance McCullers, Jr, created quite a buzz with his inning on the mound for the National team, despite being one of two underclassmen invited to participate. 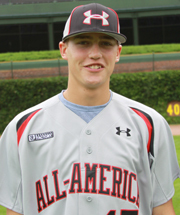 Finally, Nimmo made up one of the more impressive outfields in UA All-America Game history as he joined fellow first rounder, Bubba Starling, and young Dominican prospect, Ronald Guzman, covering the grass at Wrigley for the same squad. In total, that trio received $13.1 million in signing bonus money the following summer. The next two games, 2011 and 2012, provided a slew of talented athletes that make up a virtual who’s who of top prospects and recent Major League call-ups. Outfielders seemed to grab the most attention both of those years with five-tooler Byron Buxton, along with the Brewers’, Lewis Brinson, and Blue Jays’, Anthony Alford, standing out in 2011. 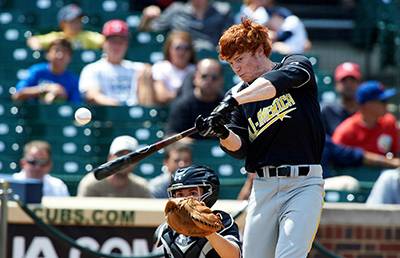 2012 saw the combination of future first rounders from Georgia in Clint Frazier and Austin Meadows (Check out the 2012 roster for both squads here). Those two combined for a dramatic come-from-behind win with back-to-back hits in the final inning. Another outfielder who put on a memorable performance on the field and in his hometown community off the field was Corey Ray. He proved to be a great ambassador for the game and the city of Chicago throughout the weekend. On the mound, Puerto Rico native, Jose Berrios, was un-hittable in his 2011 inning of work, while 2012 saw underclassman and future #1 overall pick, Brady Aiken, show his stuff on a national stage for the first time.